On a flight with Air China and Euro-Alco SRL companies! 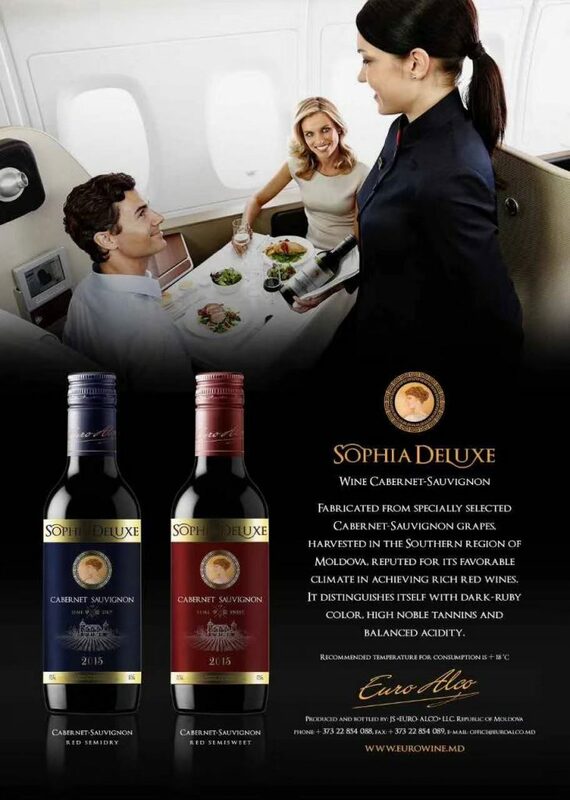 Now, the products of the Moldovan company “Euro-Alco” SRL, mainly known in Moldova as one of the largest exporters of wine and cognac products, are present within the Air China airplanes as well. The Chinese partner of the “Euro-Alco” SRL company began the deliveries of Moldovan alcohol to the Air China aircrafts. The main criterion for the conclusion of the Contract was the high quality of the products, and the “Euro-Alco” SRL company, once again passed this test with honor. Divin “Louis du Conte” aged 3,5,7 and 10 years, the wines of the series “Sophie de Lux”, “Casa Noastra”, “Vin de Provincie” and many other brands of the “Euro-Alco” SRL company are well-known to consumers of Moldova as being high quality products at affordable prices. Air China is the only flagship air carrier of China, a member of the world’s largest aviation Alliance Star Alliance, a leader in the market of air passenger transport, air freight and other aviation services. At the end of 2017, the aircraft fleet of Air China and its affiliated companies, with majority participation consisted of 655 aircrafts, mainly of Boeing and Airbus models. According to the World Brand Lab, in 2017 (the 11th consecutive year already), Air China was listed again among the 500 most influential global brands, having won 23rd place in the list of the most valuable brands in Asia.